As a law student, you have a unique opportunity to make decisions about your education. While a traditional legal education teaches you about the manipulation of abstract principles to maintain the status quo, a progressive legal education stresses the importance of thinking critically and creatively, using the law as a tool to further social change. If you are interested in using the law to serve the people, you are not alone. 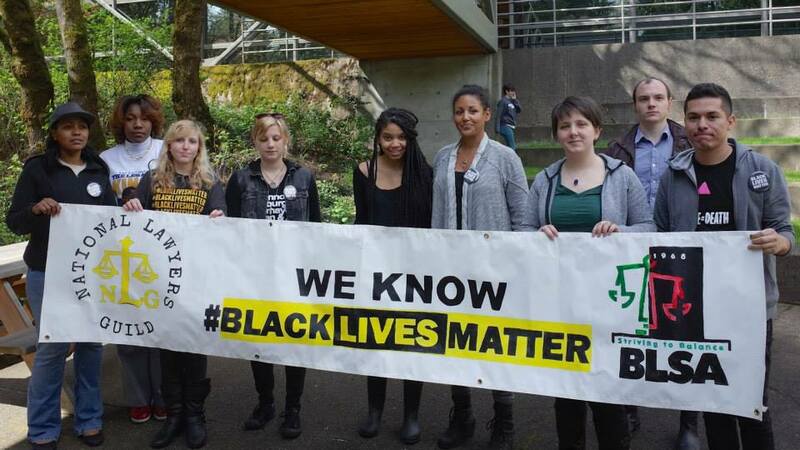 With chapters at over 100 schools, the National Lawyers Guild offers a network of innovative ideas, socially-conscious campaigns, and politically active students who are passionate about justice. Whether you want to work to end mass incarceration, organize for change at your law school, or set up cutting edge educational programming, the Guild is here to help you! We can also introduce you to a successful, progressive mentor or some like-minded students. Look through our list of student chapters, or start a chapter at your own school! The Guild is a network of activists; long-time members can give seminars on your campus, train you to be a legal observer or give you helpful advice about finding local progressive jobs. Their experience and expertise will prove to you that it is possible to graduate with debt and still be a people’s lawyer! Contact the national student organizer if you have any questions about how to get started. Get updates on NLG law school chapters on the NLG Student Facebook page!